As much as I love decorating for Christmas and having a beautiful tree in the living room, I also love taking all the decorations down and "redecorating" the whole house. Each space always seems so much bigger, and putting up the everyday decor is like a breath of fresh air. I have never been one of those people that rush to take down the Christmas stuff and rush to put up the Valentine's Day decor. Not that there is anything wrong with that, of course. I just always try to embrace a snowy January inside the house, as well as outside. This January, I had quite a few new items to add as well as some of my oldies but goodies. As I mentioned before, this vignette is the perfect blend of old and new, but I didn't have to spend a dime to create it. I had all of these things, or bought them recently to decorate with in other areas of the house. 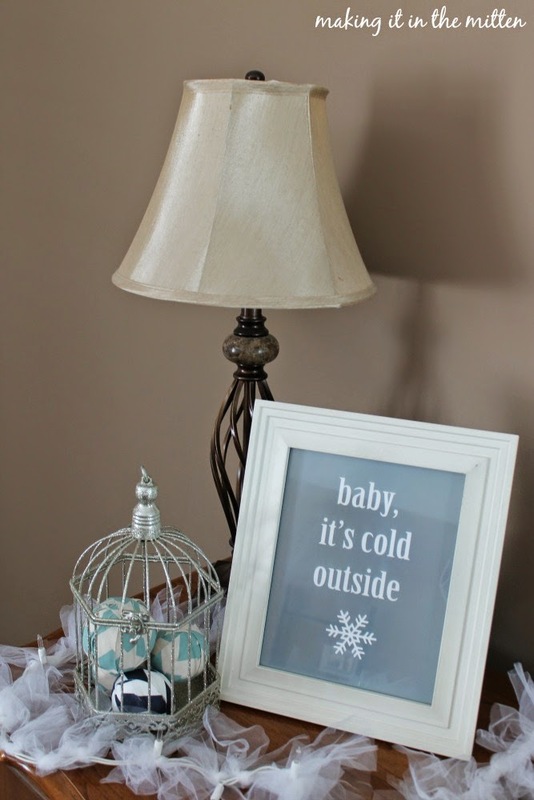 The Old: white tulle lights, falling snowflake garland, snowflake vase filler, and "baby it's cold outside" printable. 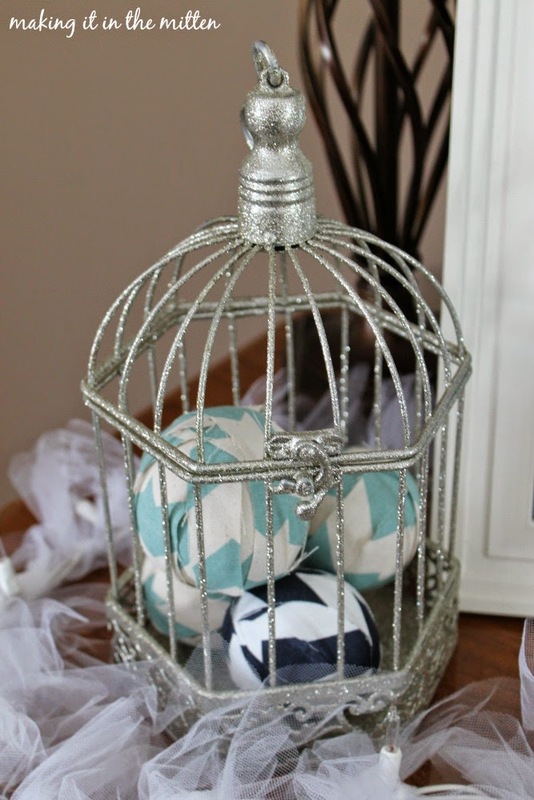 The New: bird cage, light and dark blue fabric balls, navy vase, light blue lantern. I made the tulle lights a few years back for our Christmas vignette and love them! I like to keep them out in January too so there is more of a snowy look. 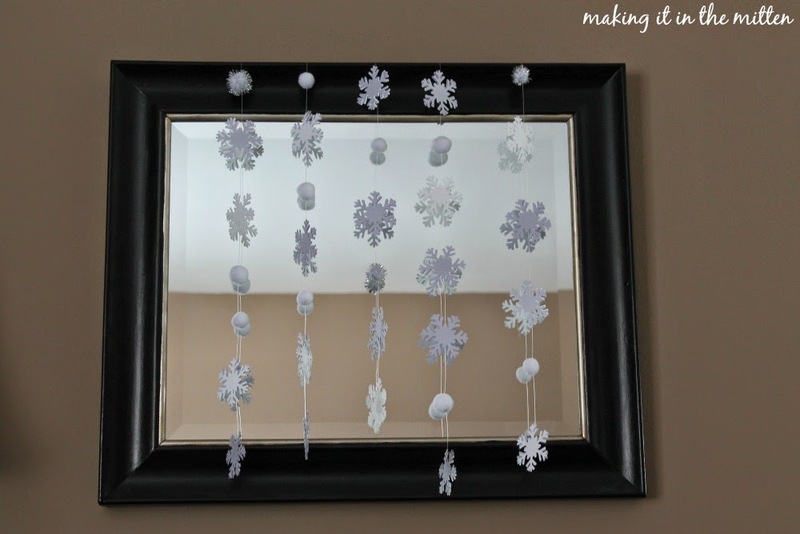 Last year, I made the Falling Snowflake Garland to hang on the mirror and was pretty impressed with how it turned out. 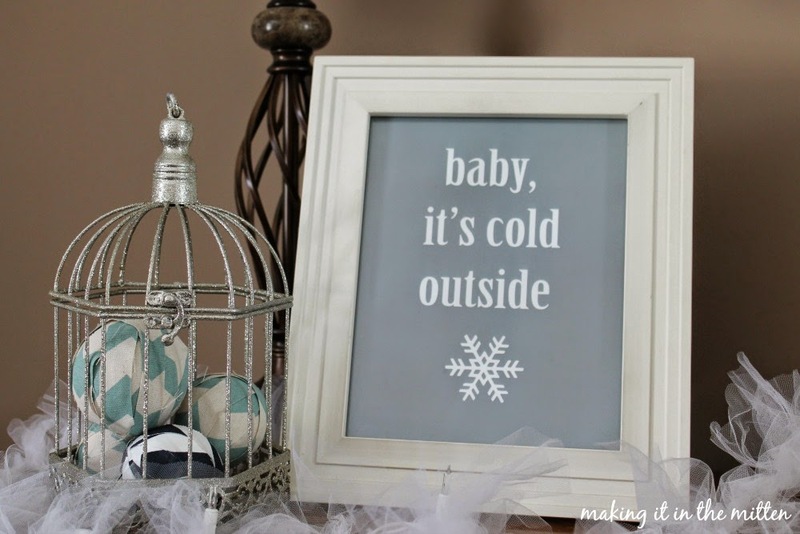 I found the "baby it's cold outside" printable at Over The Big Moon. 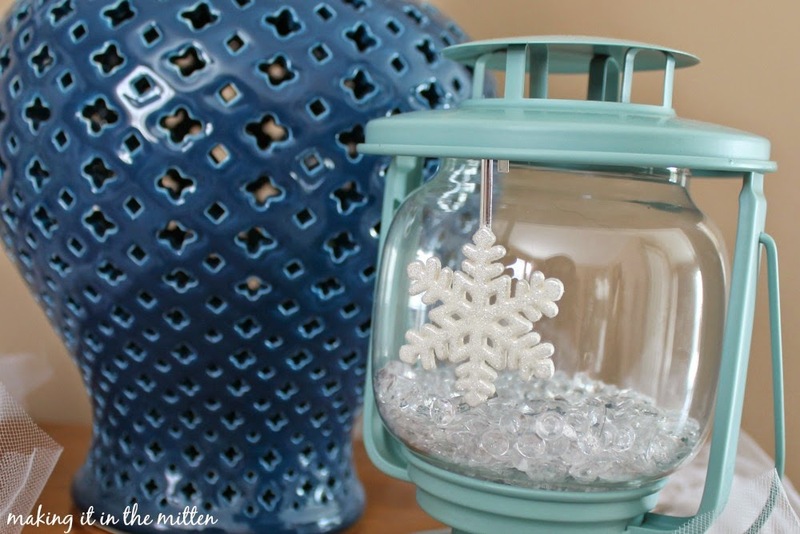 It has been my go to winter printable for a few years now. 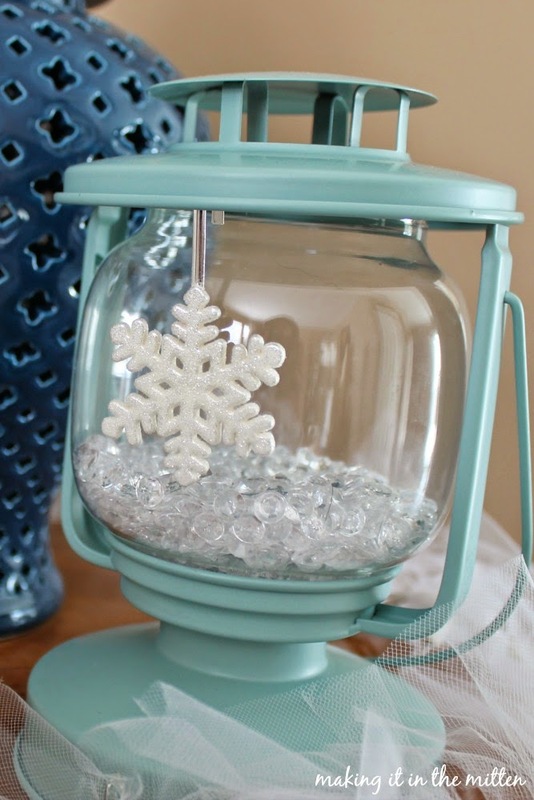 The snowflake vase filler is from pier1, as well as the plate. The silver glitter bird cage came from a friend. I let her borrow some of my wedding centerpieces for her wedding, and she gave me one of her other centerpieces in return. I filled it with some of my fall inspired fabric balls. The navy blue vase was a recent score from TJMaxx's clearance section. 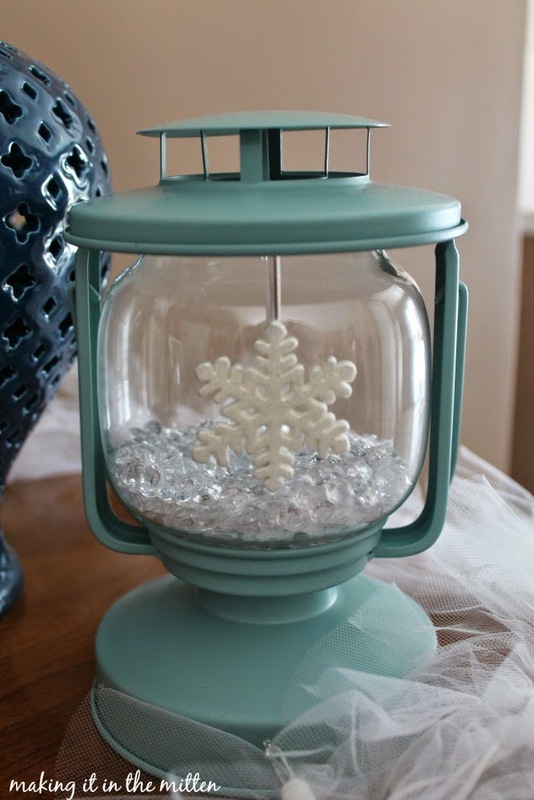 I got the light blue lantern during out last trip to Ikea, filled it with some sparkle from our wedding, and added that snowflake candle ornament from yankee candle. 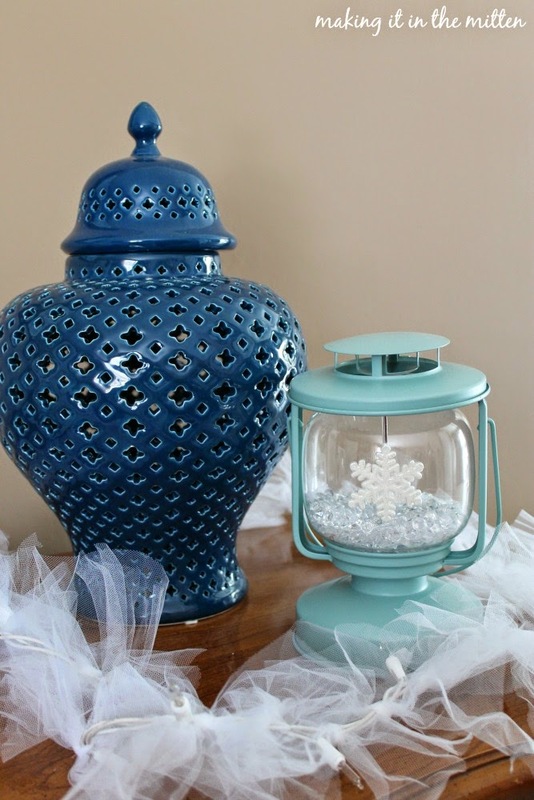 I think the accessorized blue lantern is my favorite part, but I really love the way it all turned out. How about you? Do you jump right into the Valentine's decor or do you tend to hold off until February comes along? 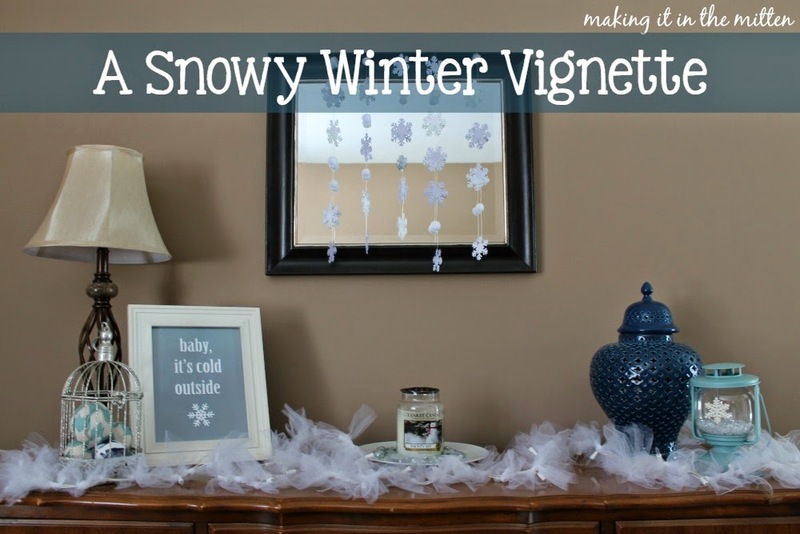 This is such a beautiful winter vignette! I really love the fabric balls that are inside of the bird cage... I am a little obsessed with bird cages :) So pretty lit up, too! 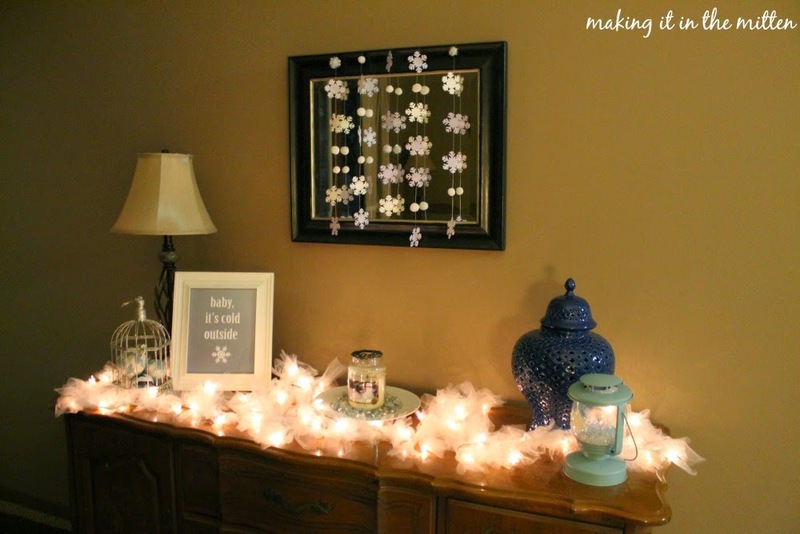 Love the falling snowflake garland! I usually move from Christmas to winter décor and hold off on Valentine's until February too. The whites, pale blues and neutrals of winter décor are always refreshing after living with all the bright Christmas decorations. This turned out great! Love it all lit up. Thank you for sharing at Merry Monday! Love how it turned out! I have a little bit of "winter" decor I put out after I take all of our Christmas decorations down. I'll probably add a few Valentine's touches next weekend. 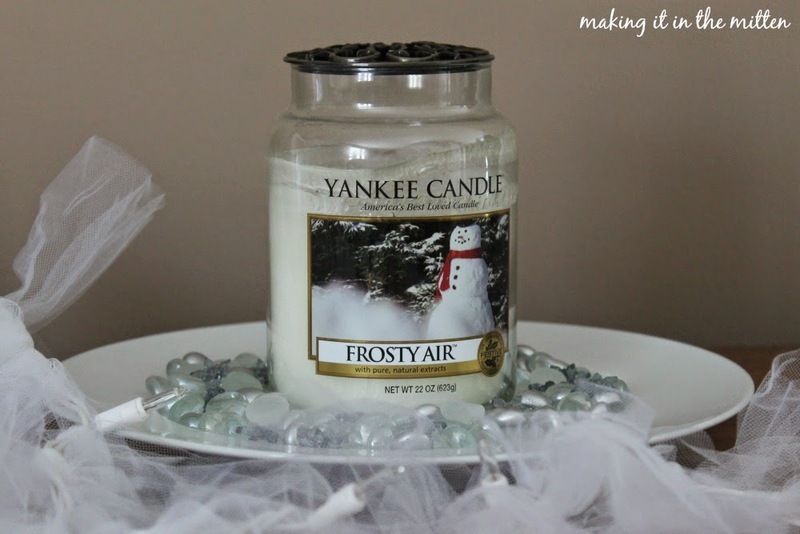 I absolutely love decorating for winter! My home always feels so sad after taking the Christmas down, but it's too soon for Spring decor. I love your printable! Hope you had a great weekend, gal! Such an inviting collection, Melanie. I love the garland and that adorable printable. 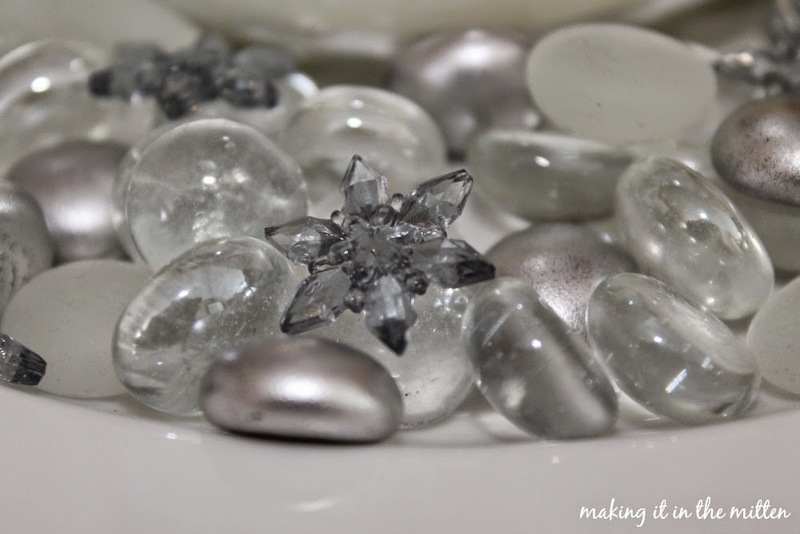 Thanks for linking up this week at the Thank Goodness It's Thursday party. See you later this week. Looks great ! Thanks for linking up with Home Sweet Home!